Are there any other payment options besides credit card available? – Have a question? Find the answer here. 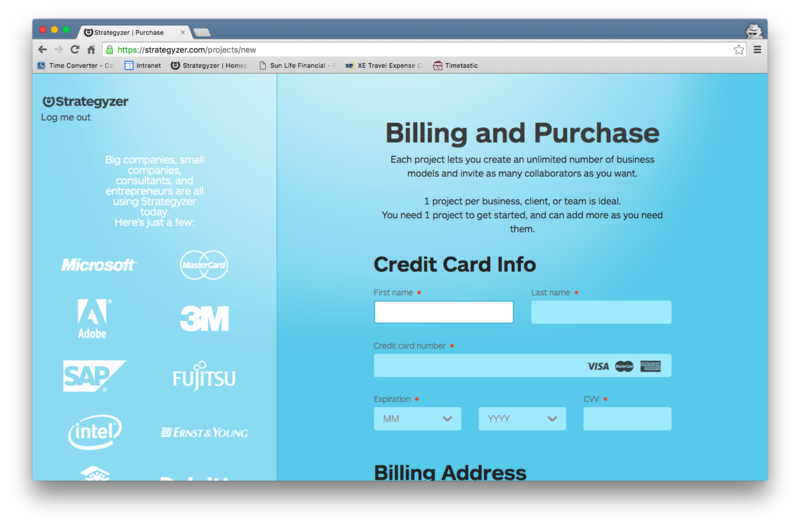 The only form of payment accepted when purchasing projects or online courses on Strategyzer.com is a credit card. The reason we only accept credit cards is because the process is much more straight forward than other forms of payment. This also ensures that each account is owned by an actual person. The data you add to your account, projects and courses will be exclusively owned by the person holding that credit card. Note: If you purchase 10 or more projects or online courses, you are able to pay via wire transfer or invoice. Please contact sales@strategyzer.com for bulk sales.